Item # 294472 Stash Points: 2,695 (?) This is the number of points you get in The Zumiez Stash for purchasing this item. Stash points are redeemable for exclusive rewards only available to Zumiez Stash members. To redeem your points check out the rewards catalog on thestash.zumiez.com. 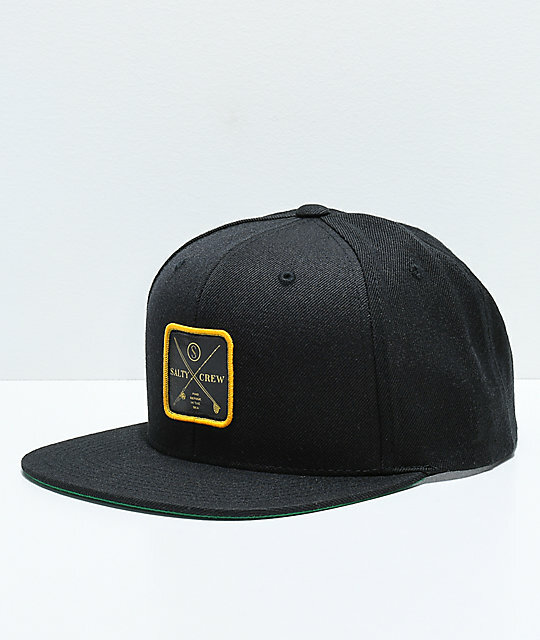 Tie your look together with Salty Crew's signature Chart Black Snapback Hat. 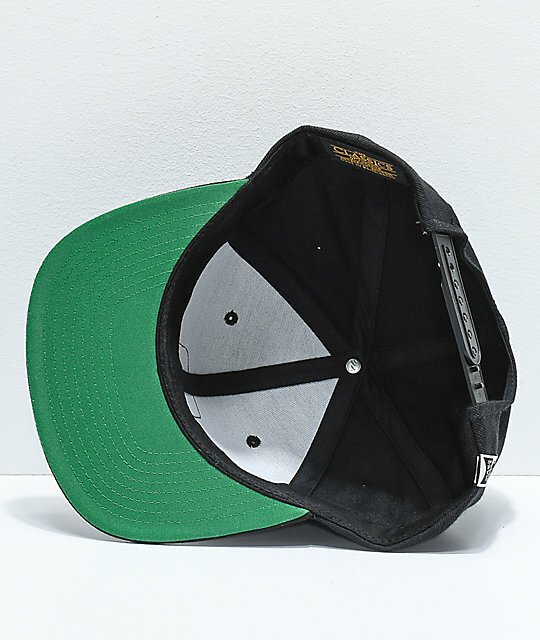 A simple accessory featured with a logo patch on the front, brand tag on the back, and a straight bill for a classic snapback silhouette. 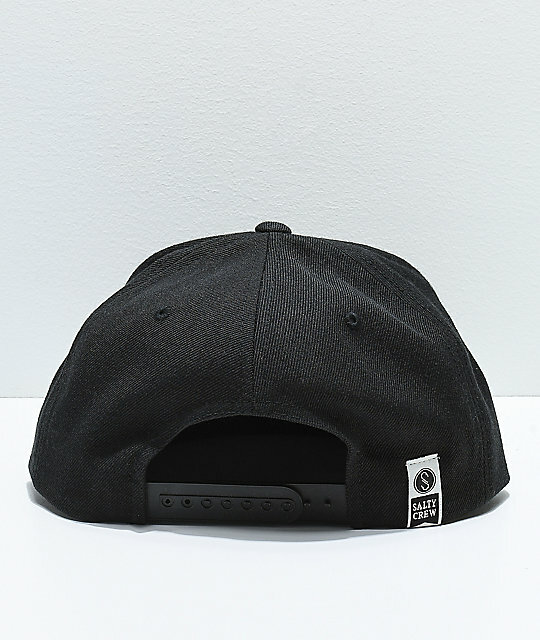 Crew Chart Black Snapback Hat from Salty Crew. Straight bill with classic green underside.